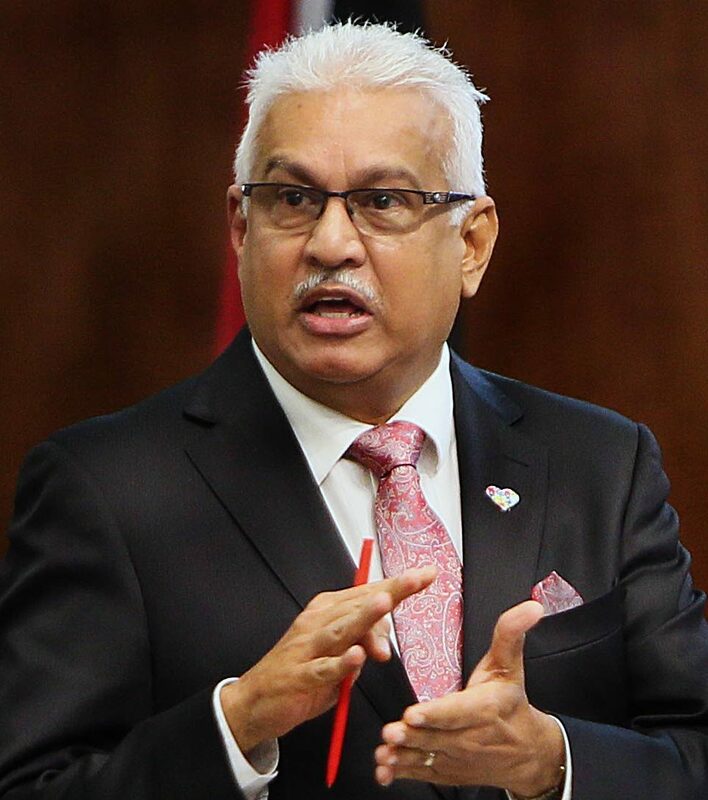 The deaths of two children from suspected meningitis seem to be purely coincidental, according to Health Minister Terrence Deyalsingh. Five-year-old Emily Veronique Browne attended the Fifth Company Baptist Primary School. She went to school last week Monday, but during the next few days she complained of headaches which grew stronger. By Friday she had died. In the other case, a four-year-old child who had a sibling attending a Presbyterian school also in South Trinidad died. The Fifth Company school has been closed and is being sanitised. "So you see what is happening here and why each school is being treated differently," said Deyalsingh. "The other child who died was not attending the school, but had a sibling who was a student there. In the interim we have done some tracing, especially at Fifth Company Baptist." The minister was speaking with the Newsday at the World Oral Health Day commemoration yesterday at the St Joseph Government Primary School, where he interacted with the students, advising them on good oral hygiene. "We will get the results tomorrow, so we will know for sure by tomorrow afternoon if it was meningitiis, and what type of meningitis, because there are over 14 types under broad categories. There is bacterial, caused by different types of bacteria, viral, caused by different viruses, and fungal, caused by different types of fungi." Reply to "Meningitis deaths of 2 children coincidental"